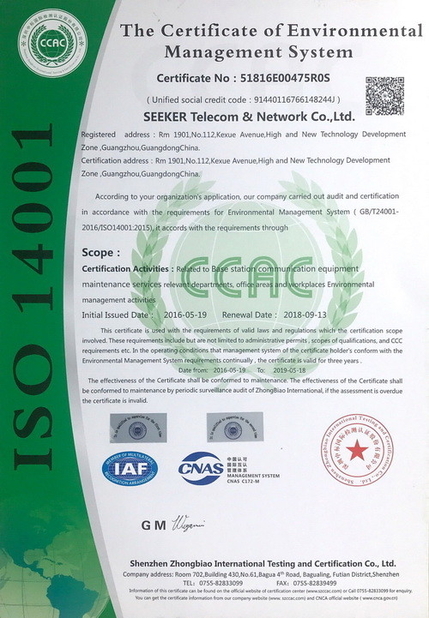 Seeker was founded in 2004. Our end-to-end portfolio of products and services of telecom technology are both competitive and secure. We offer One-Stop Services platform that helps customers acquire reliable, customized and cost-effective solutions. Never has the pace of telecom industry been so fast and energetic in the last decade. Innovative solutions, competitive pricing and speed to market are critical. Our company is proud to deliver the best customer-satisfying offerings and quality products & services to the needs of clients. We are working alongside customers from both domestic and abroad, offering them solutions to generate revenue, reduce expenses and achieve objectives successfully. Our customers' confidence in us is rooted in our professional and effective engagement with them. Our company commits to customer satisfaction and continuous improvement with a systematic approach in business operation and management. Our company was ISO9001 & ISO14001 certified in 2016 in recognition of our satisfactory execution of quality management system and our successful engagement in ecosystem management. Also, our company obtained Intellectual Property Management System certificate in 2017. 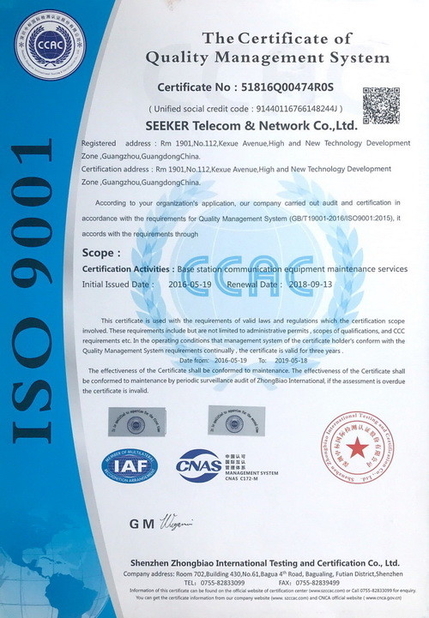 SEEKER was founded in 2004 and has been committed to used telecom equipments and assets recycling . SEEKER has been focused on recycling of communication equipments, maintenance and sales. We have good cooporate relationship with SIEMENS,ERICSSON,HUAWEI,ZTE etc. in equipments and technical support. Rent instruments,test tools,equipments by the mode of long-term, mid-term or short-term to maintenance enterprises. Repair,resell,sublet the instruments of the operate enterprises.